This 4-page photo reportage is the final chapter to my Nagra factory tour of exactly one year ago. Here I fill a few holes of the prior narrative while focusing on the company's new 300i and 300p amplifiers. Due to a delayed release—during this visit for example a production power supply board underwent a last-minute modification—these two models look set to become the stars of Nagra Audio's 60th anniversary celebration next year. The factory tour already had a number of interesting shots of the prototype triode amp during assembly. Three of those photos feature again. For various screen captures of the hi-tech multi-layer mother board and exploded views meanwhile, please refer to the original report to avoid repetition. 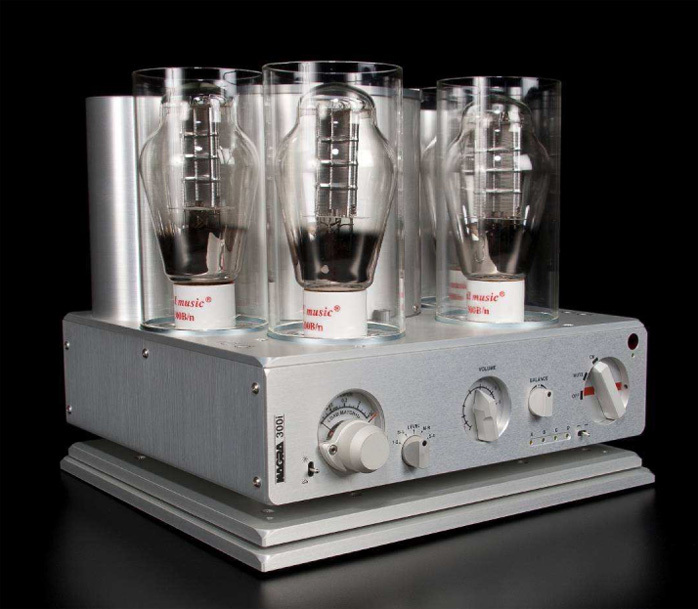 Encased in Nagra's trademark compact chassis familiar from their preamps and 60wpc MSA, the 300B amp with signature modulometer makes 20 watts RMS in pure class A from a pair of push/pull direct-heated triodes which are protected/adorned by Pyrex glass chimneys. 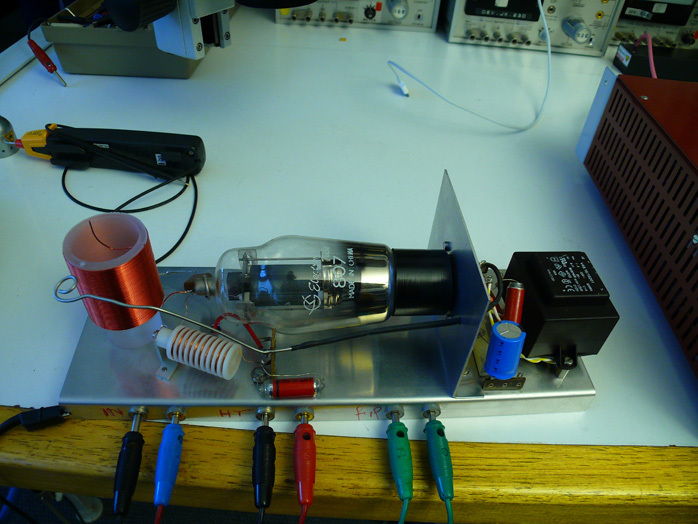 Unusually, the power bottles are driven from bipolar transistors for a reversal of the usual tube/transistor hybrid. Also unusual are the 40-section toroidal output transformers which stack two up inside the casing on deck. That casing attaches with just three bolts, three guide pins and a 10-pole slip contact socket to ship separately. During transit this physical separation protects the top-heavy architecture. The 31-wire toroidal mains transformer tucks below deck. 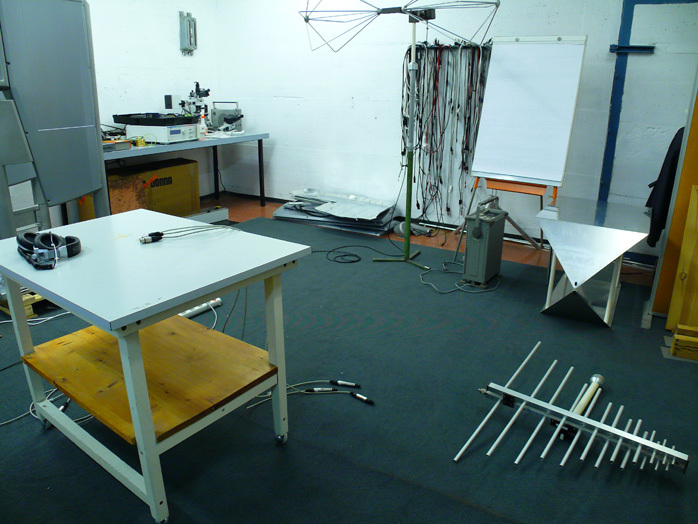 Full-power THD is 0.8%, bandwidth 15Hz to 55kHz @ -3dB and input impedance 100kohm. Output impedance is about 1/10th of each respective tap, i.e. 0.4 at 4 ohms, 1.6 at 16 ohms. S/N ratio is between -105 and -108dB. Input sensitivity is 2V (input 'D' of the integrated is 4V to accommodate hi-gain sources). The 300p has selectable RCA or floating balanced inputs. The integrated gets 3 x RCA and 1 x XLR inputs plus Nagra's second-generation RCU-II remote from which to control input selection, volume and balance. 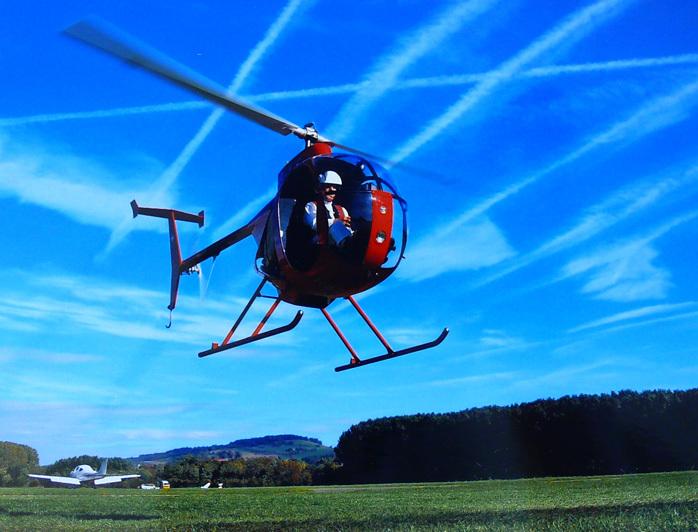 Seen flying solo in his kit helicopter next, Jean-Claude Schlup is the quite legendary manager of Nagra Audio's R&D team. 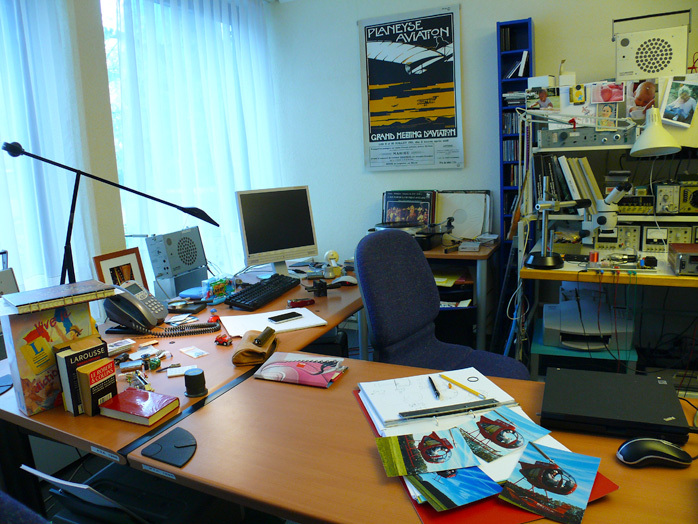 In his office away from the audio campus he explained his preference for no global feedback (thus no pentodes), bipolar drivers (Nagra's compact form factor didn't allow for input/driver valves) and toroidal transformers (Nagra perfected complex split-core toroidal designs decades ago but as a push/pull design, the 300 needed no gap). For photographs, Schlup's version of the mad scientist's lab was fair game. The man himself was not. As you'd expect, his lab was crammed with test kit. 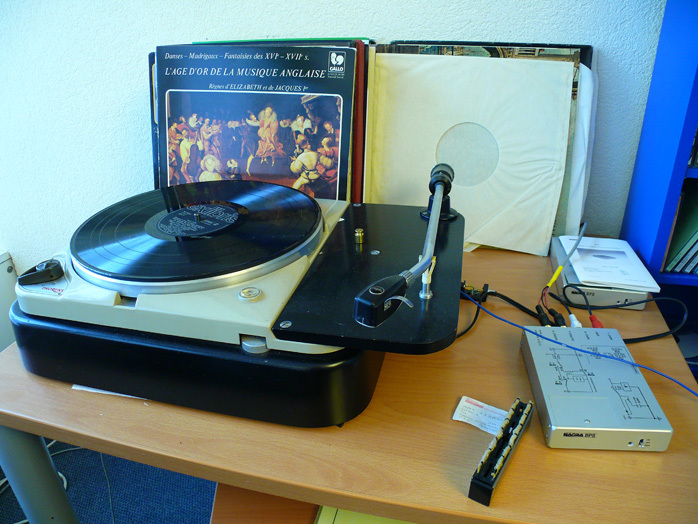 He also had a Thorens turntable right adjacent to his Windows PC and an Internet connection that was slowed down by Nagra's extensive in-house security scans. Security and Nagra are joined at the hip. Air-lock doors and security clearance to enter buildings and specific areas (Nagra Audio's marketing manager showing me around again didn't have universal clearance to require override access for certain zones) are just the beginning. An in-house team led by Mr. Kudelski's son Henri oversees their IT products' immunity to hackers. 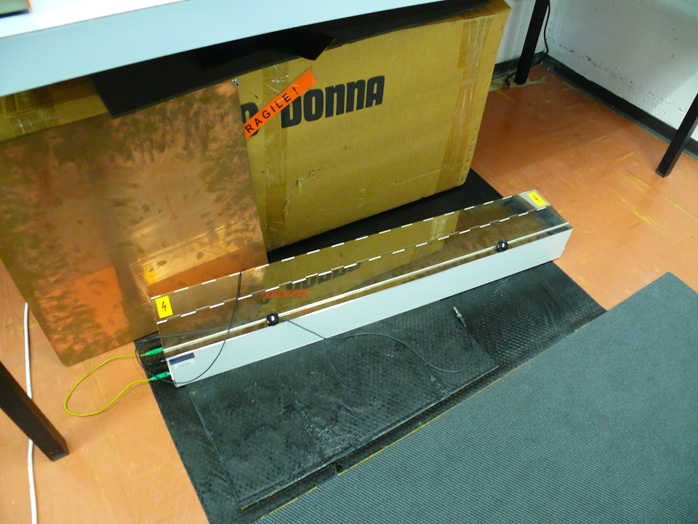 A mirror to Nagra's main server connected via custom fiber optics lives in a different building. Under accidental fire, its room gets automatically doused in fire-extinguishing Argon. A sign on its door warns you to under such conditions vacate the room immediately to not suffer gas exposure. 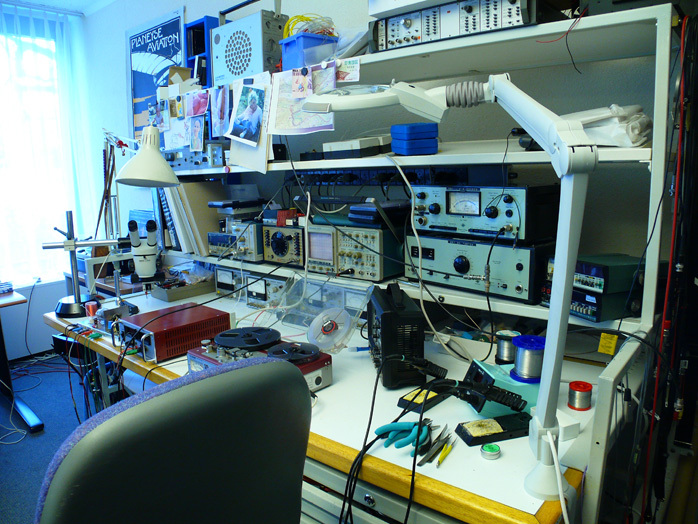 Back to Mr. Schlup's lab, here is one of his personal benches. ... and an exploratory plasma tweeter. It's here then where all of Nagra Audio's models are first conceptualized, blessed for development next and finally signed off before they hit dealer shelves. 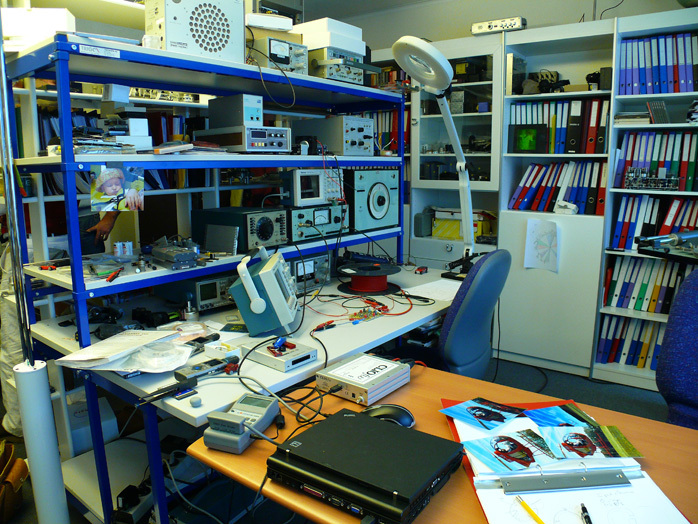 It's Nagra's birth & benediction central for all audio matters and the work place of Jean-Claude Schlup who for lack of a formal photo shall remain its éminence gris. ... AC line zappers and other 'catastrophic' condition stimulators. They all help generate a complete battery of tests to assure and certify that Nagra equipment conforms with all international safety and emission codes for consumer electronics and other products. 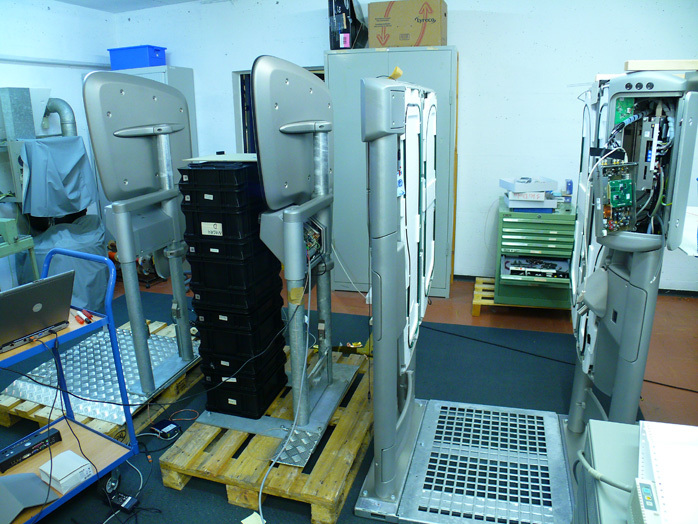 About other products, in the same room this day were samples of card-triggered ski lift gates wired up for their own test. 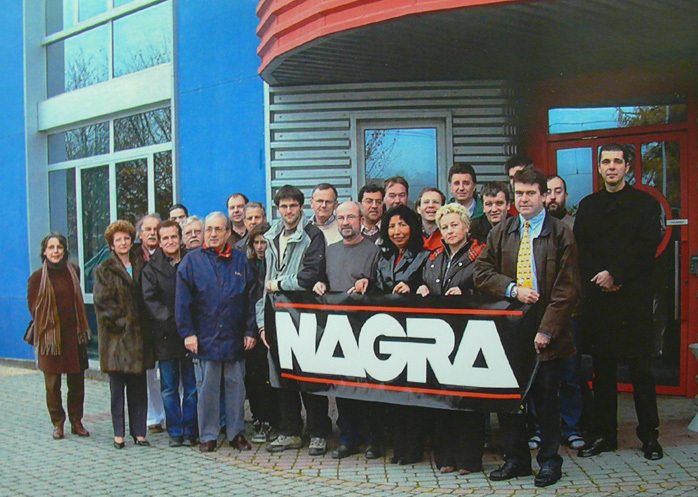 As my factory tour chronicled, Nagra's penetration of different industries is far more widespread than the average audiophile would suspect. Audio in fact is the puniest part of this empire. Each time Swiss drivers drop coins in a parkomat, the till at Nagra rings. That's because they own the company which installs and runs our domestic parking-fee machines. Ditto for ski lifts of course.